It has the name "Waylon'' embroidered in the middle of the leather seat. SWIFT CURRENT, Sask. 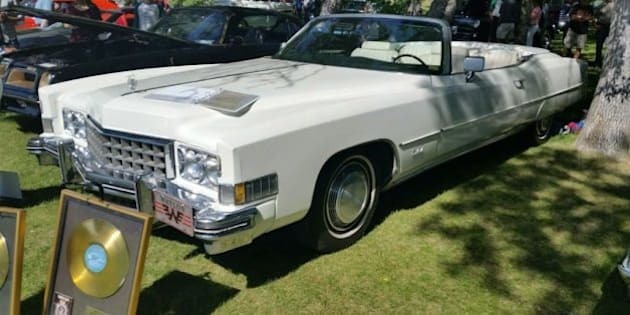 — Saskatchewan Premier Brad Wall is sporting a new ride — a white Cadillac convertible once owned by country music legend Waylon Jennings. Wall's hobby is collecting classic cars and he bought the 1973 Eldorado after recently selling his 1967 Dodge Coronet. The premier says on his Facebook page that RCA Records bought the caddy for Jennings in 1973. It's not known how much Wall paid for the car, but he says on Facebook that he's very fortunate to have nabbed it. The Cadillac made its Saskatchewan debut at a car show in Wall's hometown of Swift Current on the weekend. "People at yesterday's Eliminators Car Club Riverside Run asked me 'I thought you were a Mopar man?' Wall posted on Facebook.